You might be wondering what the heck does “energetic hygiene” even mean. Is that like taking a shower but for your energy? Well…that would be a good way to look at it! We are all made up of energy, and just as we have a responsibility to bathe our bodies on a regular basis to stay clean and fresh, we have a responsibility to keep our energy cleared. We have an energetic body, and that is the part of our selves that can be cleared and taken care of in such a way that ensures that our energy is clean, light, and balanced. When our energy is clear it ensures that we feel our best, and that our energy is pleasant to be around, and your loved ones, family, and friends will sense that. I think we have all had that experience where we were around someone that didn’t feel good to us. What you were sensing is that person’s energy. It’s a vibe or a feeling you get around people, and just as much as you feel that coming from the people around you, that energetic vibe is also what people sense about YOU. So now you ask…how do I keep my energy clear? There are a few things that you can do daily that are quick and easy ways to clear your energy. Start by connecting with your higher self through meditation. Each day allow yourself time to meditate and connect to yourself through breathing, and prayer. While in prayer you can ask God, Archangel Michael, your Guides and Angels to clear your energy. Envision white light surrounding you and clearing away all that no longer serves you and your energy. AA Michael is a pro at helping with this sort of thing, and is always happy to help. You can even envision a vacuum at the top of your head, above your crown chakra, sucking out all the energy that no longer serves you. Then ask that as the energy is cleared, it is replaced with love and light. Ask that a protective energy bubble be put around you at least 20 feet around you, and that only high vibrational energy is allowed in your bubble. At any time that you feel your energy is funky, ask God and the Angels to clear you, shield you, and protect you. Envision yourself being cleared and thank your Spirit Team for the help! There are also crystals that you can also carry or wear as jewelry that are highly protective too. Amethyst, clear or smoky quartz, black tourmaline, and labradorite are just a few to consider. You can always sage yourself or use a clearing spray or use some essential oils too. All great tools! 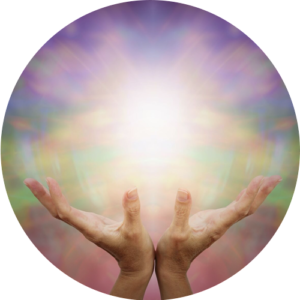 The most important thing is to recognize your energy and when you are feeling “off” so that you can go through your clearing process in a quick but effective way. Consider doing this process each morning or just before bed. When you take care of your energy, and everyone else does too, just imagine the impact it could have on our world…so do your part and take care of your energetic hygiene.